Brain enhancement is about thinking better, feeling happier, achieving goals, & enjoying life to the utmost, no matter what your personal challenges. We train our brains and have experienced the benefits first-hand. You can too! ﻿﻿BETTERBRAINBETTERLIFE﻿ was created to let you know about brain enhancing programs and products that we have researched and believe in. Why? Because brain enhancement is new territory and it’s entirely possible to be taken in by fake research claims and bogus testimonials. Even some supposed scientists are touting programs that are expensive and of dubious quality for real brain enhancement. 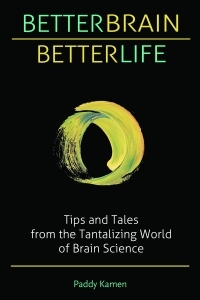 A few years back, Kris was researching brain training devices and came across BetterBrainBetterLife. She and Paddy began a correspondence, and have since become good friends. Kris is now on board as a partner on the site. Kris grew up in the east coast of Canada, and later relocated to Montreal. As a toddler, Kris had a severe concussion and was hospitalized for a week. Growing up, Kris enjoyed and excelled in school, but struggled with some typical post-concussion issues. Many years later, after one of her children had been diagnosed with ADHD, Kris realized she had some ADHD symptoms herself. Kris has been a Vipassana meditator for 15 years. Meditation, plus experimentation and changes in lifestyle produced dramatic improvements in cognitive functioning. 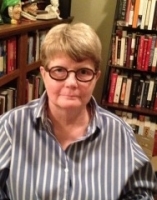 In recent years, Kris became drawn to neuroscience looking for help for an aging parent, and another younger family member struggling with brain issues. Paddy says, "Kris is an incredible researcher and among the brightest people I know. I appreciate that she is motivated to help others, always open to new ideas and excited (even obsessed, as am I) about human potential." Kris lives in Montreal with her husband, three sons and an adorable rescued Siberian Husky, named Fritz. At ﻿﻿BETTERBRAINBETTERLIFE﻿ ﻿we do the legwork for you, using our journalistic research skills* and interviewing independent experts and users to determine whether a product, service or book is worth a try. In addition, we have used our own brains as living laboratories for many of these devices and practices, and have traveled North America to meet scientists and researchers in the brain enhancement field. Marvin Berman Ph.D., is founder and President of the Quietmind Foundation and Associates a not for profit research and clinical neuropsychological and neuropsychiatric clinic with offices in Philadelphia and Plymouth Meeting, PA and Chestnut Ridge, NY. Dr. Berman has been in private practice for 40 years providing body-centered psychotherapy and integrated biofeedback therapy since 1996. His research efforts are currently directed toward creating a paradigm shift from drug and symptom-based treatments toward non-invasive, electromagnetic stimulation and learning-based models of self-regulation and healing. Dr. Berman can be reached Quietmind Foundation at: http://quietmindfdn.org. Dr. Mel has a master’s degree in medical neuroscience, and a naturopathic medical degree. She has a strong interest in the relationship between emotions, the brain, hormones and the immune system. Cognitive, emotional and digestive health, along with hormone balancing and stress relief are key aspects of her practice. Visit Dr. Mel at: www.drfougere.com. Corinne Fournier was the head of a research team in cognitive science. She is now a NeurOptimal trainer and has trained many trainers and families of disabled children. Fournier is co-author, with Pierre Bohn, of Le Neurofeedback Dynamique. Fournier is based in Paris, France. Rosemary Frei has a diverse background in life-sciences research, journalism, media relations and continuing medical education. With a M.Sc. in molecular biology/biotechnology from the University of Calgary, Rosemary has been a freelance broadcast and print journalist for Canadian radio (CBC) and business magazines, including Equinox and Canadian Business. She is based in Toronto, Ontario. 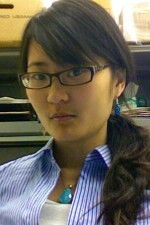 L. Samantha Zhang obtained her Ph.D. in neuroscience from the University of Michigan in 2011. Samantha’s main research expertise lies in circadian rhythms. By measuring melatonin levels as they were produced in the brains of freely moving rats in almost-real time, she explored the principles of circadian rhythms in detail. Originally from Shanghai, China, Samantha grew up in Buffalo, NY and relocated to Vancouver, B.C. in 2012. Promise: Just interesting stuff and not too often!